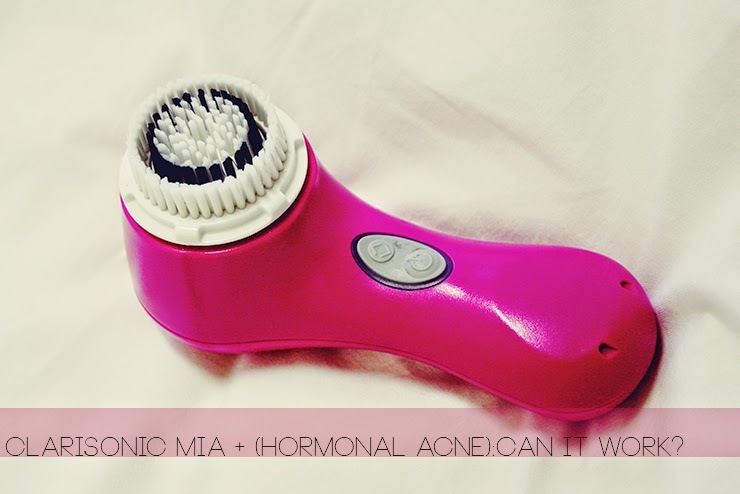 Clarisonic Mia + (Hormonal) Acne: Can it work? An honest opinion. I hope you're all doing well? The weather here in Tsukuba is really weird at the moment - the weather changes constantly! I am used to a lot of weather changes in Japan - can't really be helped since it is such a slim island. However, here in Tsukuba it's a lot more extreme than in Kanagawa where I studied last time. Some time we have 30°C and sunshine, I'll grab my hotpants and go out just to stand in icecold rain 3 hours later. It's making "dressing appropriately" really difficult! However, today I want to share a topic with you that I am really concerned about since I saw the Clarisonic Mia for the first time - can you use it when you have acne? Does it somehow affect the acne, make it better or worse? Before I got my own Clarisonic this winter, I could not really find any detailed information about this topic and after testing the Clarisonic for about three months I feel confident enough to give all of you a bit of advice. First, my own skin condition. As regular readers of this blog may know, I am suffering from mild hormonal acne since I decided to not take the anti-baby-pill anymore. My skin was in a really bad place 2 years ago and although it is not as bad as it was I am still having a lot of trouble with (painful) breakouts and it doesn't seem like my hormones will be quiet anytime soon. Damn. But I think I am still lucky compared to people with "real" acne since I am suffering only from a mild version (which was already enough nerve-wrecking for me the last two years!) So, depending on what kind of acne/imperfections you have and depending on the degree of it you should judge for yourself wether to use a tool like the Clarisonic or not - if you have severe acne I can not imagine that the Clarisonic could help you - and I will explain why. How I am using the Clarisonic Mia: So when I first got my Clarisonic I was extremely cautious about using it since I feared a massive breakput from the unusual peeling effect that my skin was not used to. Therefore, I started with using the Mia (in sensitive mode) only once every second day, in the evening. 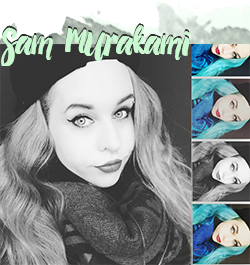 When I did not notice any severe reaction from my skin I doubled it up to once every day in the evening when cleansing my face. Lastly, I somewhen (I think after a month) decided to use the Clarisonic twice a day; for cleansing in the morning and in the evening. Since I didn't experience any outbreaks regarding to using this tool I felt safe enough to use it twice a day - and I'm still doing until today! However, if you have acne I found that you have to be careful about how to use the Clarisonic. If you have open pimples/breakouts do NOT go over them with the Clarisonic. If you do, this will spread the bacteria and make everything even worse. Also, if you have spots that are in the process of healing do not use the Clarisonic on these parts either because the oscillating Mia is quite powerful and you could end up breaking open the healing spots (this happened to me quite a lot and delayed the healing process so please be aware!) Apart from this, I felt that I could use the Clarisonic safely, even when I knew some breakouts were in the process - I never noticed it to get worse because of using that. Yes and No. The answer to that question is not as easy and depends a lot on the question you ask. Yes, you can when taking some things into consideration while using and I would not advise to use if you are suffering from a severe case of acne. No. At least not in my case since it is a hormonal situation and I try to not use the Clarisonic on the acne in order to prevent spreading. I did not experience noticable changes in my skin when it comes to how it looks. Yes, and this is why I love to use it although it does not make my acne disappear. Since I am using the Mia, my skin just felt a lot better. Before, it tended to feel somehow greasy and bumpy and not smooth at all. Although I have breakouts the Clarisonic helped a lot with the overall feel of my skin; it is smoother and my make-up applies a lot more even. Though my face doesn't look completely flawless the Clarisonic made me feel a lot more comfortable in my skin and therefore helped A LOT with my condition. Also, my acne marks faded a bit which of course is a good thing. Feeling comfortable can help a lot in this kind of situation. In short: I highly advise using the Clarisonic Mia - although it does not prevent/help with breakouts it improves the overall feel of the skin -especially when your skin somehow does not feel smooth/even you could really benefit from this product. I have used my Clarisonic for about 3 months and it is a must in my daily routine. I would have loved to include pictures in this post but the change is not as much visual; it's more about how I feel in my skin. I hope this post will be useful for someone facing the same problems as me! I'll also do a post on my daily skin care routine since I emptied most of the products and will try something new - so it's time for some feedback. If you have still any questions left, feel free to contact me!